The deluxe 4-star Novotel Al Dana Resort enjoys a beachfront location, providing both leisure facilities & the advantage of a privileged location near the business district. The hotel, tucked away in the surrounds of a beautifully-kept exotic garden, is an ideal place to conduct business as well as affording a peaceful ambiance. The rooms fuse contemporary style, made-to-measure comfort and top-of-the-range fittings. The hotel boasts its own outdoor temperature-regulated pool, fitness centre & Spa, private beach, and Mediterranean restaurant serving seafood. 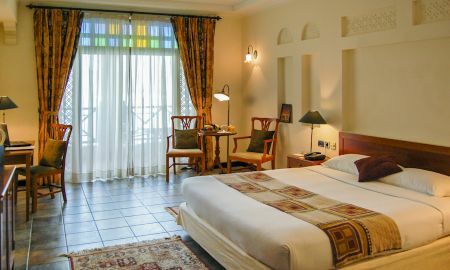 Each authentic, sophisticated and spacious room offers A/C and multilingual TV channels. Novotel Al Dana is located 5 minutes from the airport, business districts & downtown shopping areas. 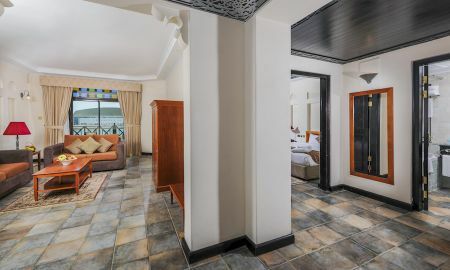 The resort is based in Bahrain’s diplomatic and business hub, along the Sheikh Hamad Causeway, a 20 minute drive away from the road bridge that takes you to Saudi Arabia.